There are many different types of meditation practice. One form is concentrative meditation practices, or practices that help us to build the ability to focus. There are many different ways we can cultivate concentration, although the most popular practice involves the traditional observing of the breath. Concentration meditation is a form of meditation in which we train the mind to focus on one object. 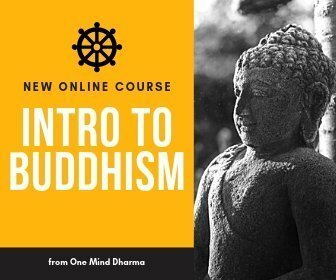 Concentration is an important part of Buddhist meditation, and can be useful outside the context of the Buddha’s teachings as well. It is believe that the Buddha himself was practicing concentration meditation when he became fully enlightened. Wise concentration is one of the factors of the Noble Eightfold Path. In concentration meditation, we are cultivating an ability to be with what is present in front of us for a specific period of time. It’s important to understand that it is a practice in which we are training the mind, so it’s natural that the mind wanders from time to time. As we continue to practice, we are able to focus for longer periods. Concentration is cultivated by returning to the object of our awareness when the mind wanders. When the mind becomes active, we simply leave the thoughts or experience be and return to the object on which we are concentrating. Every time we bring the mind back, we are strengthening our ability to concentrate. We eventually grow able to leave the thoughts be and not hook into them in the first place through repeated practice with concentrative meditation. 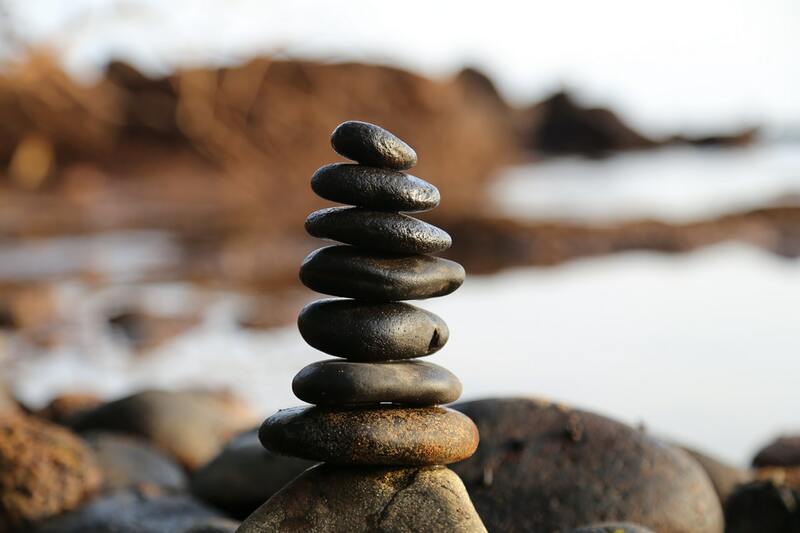 Mindfulness and concentration are not the same thing, and are often misunderstood. Concentration is the quality of collectedness or one-pointedness. Mindfulness is an open awareness of what is arising in one’s experience, with the recognition of its level of wholesomeness. Let’s take the sound of this singing bowl below. In mindfulness, you would likely notice the arising and passing of the sound, while also noticing if anything else comes up in your experience such as feelings in the body, thoughts, mental states, or other sounds. In concentration, we stick specifically with the sound from beginning to end. See if you can listen to the sound from the moment it begins to the moment it fades, and notice your experience with trying to stay concentrated. Concentration and mindfulness differ in the expansiveness of our awareness. In mindfulness practice, we notice what is arising. In concentrative meditation, we collect the mind onto one object. Although different qualities, we use them both together often. In concentration meditation, we need mindfulness to know when the mind has wandered. In mindfulness meditation, we need some level of concentration to be able to focus on what arises in our experience. There are many practices that can be beneficial in building concentration. The traditional practice involves working with the breath, and perhaps is the most well-known form of meditation. However, there are other ways we can build concentration. Below are a few practices that can be helpful. We offer more instructions and practices for concentration in our recent post 5 Practices for Building Concentration in Meditation. This is a short practice in working with the breath to help build concentration. This is the most popular form of concentration meditation in Buddhism, and this practice comes from our 5 Minute Meditation Practices CD. Metta meditation is the practice of cultivating loving-kindness, and is one of the Buddhist heart practices. Although it may not be thought of as a concentrative meditation practice, many teachers use metta as a way to build concentration. 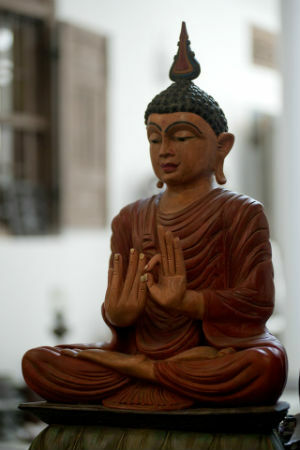 Rather than using the breath as the object of awareness, you can use the phrases of metta as the object. Letting go is certainly not a traditional concentrative meditation practice, but it can be helpful. As we cultivate the ability to see what is arising and leave it be, the mind no longer grabs onto each experience with such strength. This can help us in our concentration practice. We also have a free concentration meditation script available here, which you may download to read yourself or for a group. The first hindrance, sensual desire, is the simple desiring for pleasant experiences. The second, ill-will, is the desiring to be free from unpleasant experiences. In meditation practice, we may notice ourselves liking and disliking, taking us away from the concentration. Restlessness and worry are physical and mental states (respectively) in which we have too much energy that is unfocused. Sloth and torpor are similarly physical and mental states, but with the quality of low energy. The fifth hindrance, doubt, may arise as doubt in ourselves, our teachers, meditation in general, or the teachings. With all five hindrances, the traditional teaching is to notice that they are present in order to free ourselves from their grip. Simply by noticing we are experiencing one of these hindrances, we free ourselves from its grip. If you find yourself tired, over-energized, or falling into any other hindrance, you can note it. Sometimes simply saying, “I am experiencing _________” to ourselves is enough to take its power away. It’s not easy to cultivate concentration. Many of our students sit with concentration meditation and find it quite difficult and eventually give up. Here are a few tips for you in your cultivation of a focused mind. We have to be patient when cultivating concentration. When I began meditating, my sitting periods were largely full of me fighting with my mind. Remember that this practice, like other meditation practices, takes time. Watch out for the tendency to fall into greed and craving, as wanting a concentrated mind too much can actually be a hindrance to concentration! I’ve noticed that I have a tendency to strain in concentrative meditation practices, and many students report the same. Rather than straining to stay concentrated, try to bring a sense of gentleness for your practice. Imagine resting your awareness on the breath rather than forcing your awareness on the breath. Meditation practice is a cultivation, a training of the mind. When you sit in concentration practices, it’s not about showing off how concentrated you are. Rather, you’re working to build the ability to concentrate. Remember this and allow yourself to grow. If your mind was already able to concentrate perfectly, you wouldn’t need meditation to begin with! Every time your mind wanders and you bring it back, it’s an opportunity to grow in the ability to focus. Treat it as a gift rather than an obstacle, and be proud of yourself for bringing the awareness back. I’ve found that concentration is a quality that really strengthens with repeated practice. Although this may be said for many qualities we cultivate in meditation practices, it seems in my experience to be especially true with concentration. Try to practice regularly. If you’re doing other forms of meditation, start with a few minutes of concentration first. We tend to have hindrances that arise repeatedly. I often fall into doubt and desire, while Elizabeth falls into restlessness and worry or sloth and torpor. As you practice, just watch what arises. You may begin to notice that one or two hindrances are arising more often than others. When you recognize your habit energies, you can grow in your ability to work with them. Finally, listening to guidance can be a great way to go. There are many meditations on YouTube and apps like Insight Timer. We also have some concentration practices on our meditation CD’s. Listening to guidance can help you stay on track, learn the practice, and get a hold of what works for you.